There’s value in doing hard things; in setting a standard and doing what it takes to meet that standard. At the end, there’s a sense of accomplishment that only those who have done it will understand. Having a standard means making judgments. If I’m working from a specific car or building, then that object becomes the final authority for evaluating the model. At each step of the way, I have an objective benchmark to judge the work against. I accept that there are limitations to materials and tolerances when work is reduced as much as our models are and, I’m happy to use a simpler process, as long as it helps me achieve or exceed the results I’m after. However, there’s a distinction to be made between easing the burden of a task while maintaining a measure of quality versus doing things the easy way out of laziness. Spending time building models is a choice I make and, just because it is a hobby, that doesn’t excuse indifference. If you don’t care about work you’ve freely chosen to do, then why bother? 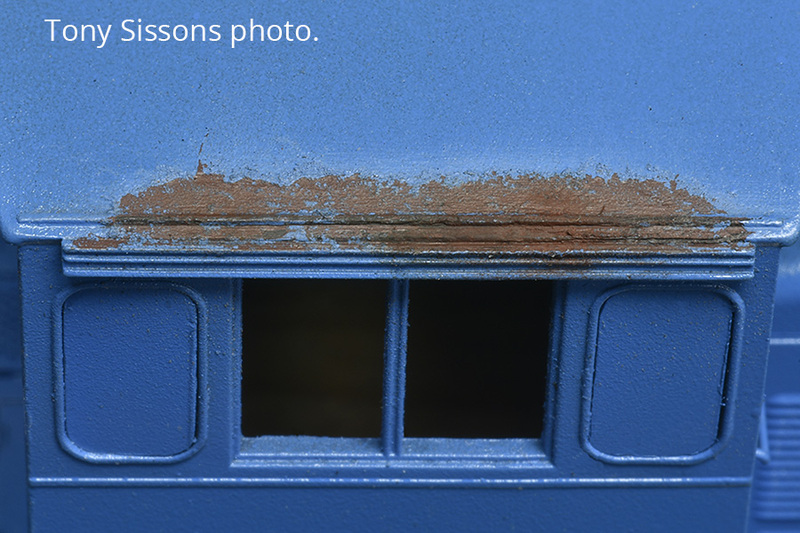 The photos and captions in this post are excerpted from Tony Sissons’ book that we published in 2017. On the surface it looks like a book dedicated to a single project and I confess in my own shortsightedness, that’s how I’ve promoted it. However, after reading the feedback from others, I see that the true value of the book is to see it as a collection of mini-tutorials. The individual chapters cover aspects such as detailing the trucks and chassis, building a new fan and grille, and modifying the pilots. 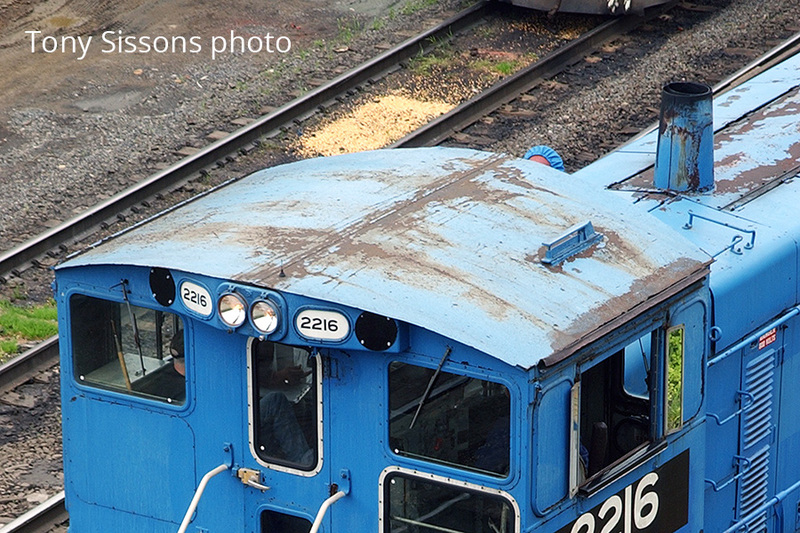 Each could stand-alone and provide value for any locomotive project. The chapter on painting and weathering is a masterclass in technique and observation skills. 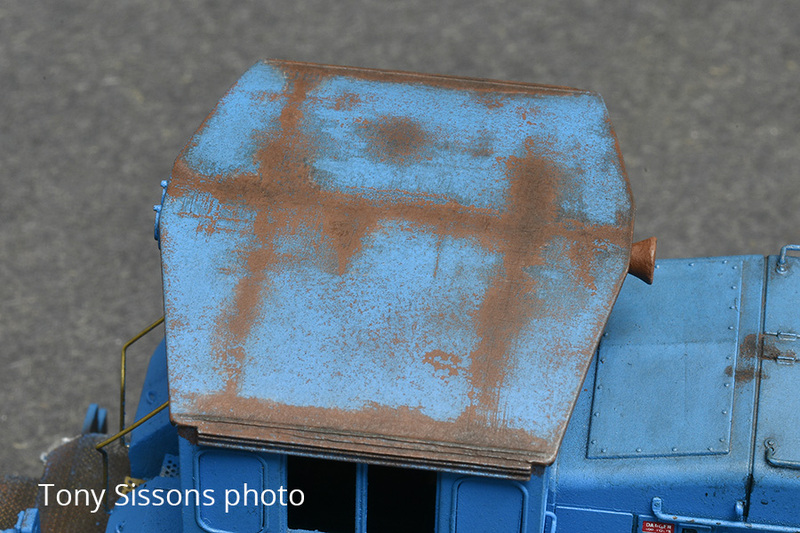 It shows how even a modeler as skilled as Tony still has much to learn. His humility and willingness to embrace failure is refreshing in a hobby culture overflowing with experts. 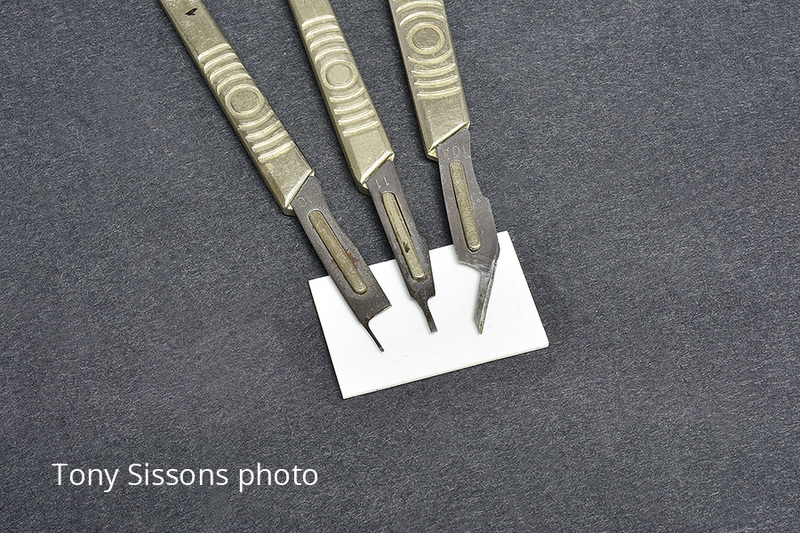 Many people are quick to throw their hands in the air and declare the onslaught of ready-to-run models has killed any incentive modelers have for scratchbuilding. Blanket statement such as: “no one scratchbuilds anymore,” reflect the shallow thinking of the one approach for every taste mentality. As I wrote in the previous post, I don’t subscribe to that idea. Scratchbuilding articles used to have a depth that is less common today. Reading the text and looking at the work, you could tell who loved the process and who was just banging something out. Today, text is minimized in favor of photo essays. While a picture may be worth a thousand words, according to the proverb, it doesn’t convey the thought process of the builder. We still need a well-written comprehensive text that helps the novice understand the path taken to arrive at the stage the images show. This is why I still have a small collection of fifty-year old magazines with content that is as relevant today as it was back then. The opportunity to teach our skills should never be taken for granted. However, I’m fully aware that many hobbyists, perhaps even a majority now, aren’t that interested in any of this. That’s fine. The book isn’t for every taste and was never meant to be. It’s an anchor stake in the ground for modelers who want to pursue their own growth and development by building things in a meaningful way and knowing the pride of accomplishment that results. There’s value in doing hard things and our craft still has plenty of room for such things. I wonder if the grind of modern life puts people in the frame of mind where they just want to slap something together to say they got something done. I enjoy the old magazine articles too. I’ve only kept a few, such as the MR that has the ubiquitous crossing shanty made famous by Atlas. I’ve built a few in several scales. E. L. Moore’s articles come to mind and even though he was reworking plastic kits most of the time, Art Curren. I enjoy showing a project to someone and when they ask “where’d you get that?” I can say I did it plus the satisfaction that comes with having something that’s not on 10,000 other layouts. I’ve attended a few of Tony’s clinics. I like his style – it’s a here’s how I did it but not a this is the only way to do it tutorial plus he is a really nice person who doesn’t mind taking the time to share and explain his work. I agree Jeff. It seems that work does take up a greater percentage of time than in the past plus, there are far more distractions and ways to fritter away time than ever before. It’s understandable why people want shortcuts and hacks. The more interesting question is why some people refuse to be tempted by such things. I definitely like the older articles. Art Curren’s ability and vision for those building kit bashes always amazed me. Not sure who said that first, but it rings true. I recall that the guitarist John Williams when asked how much he practiced, responded to the effect that if he had to practice, he wouldn’t do it. On the other hand, Francis Rossi of Status Quo practices scales on his guitar for two hours every day, to keep his hand in. Now, I am all for natural talent, but I feel that the latter has gained more personal value out of his living than the former. Speaking from experience with creative work, talent is simply the beginning point. It’s what you do with it that makes the difference. Even if you’re a prodigy, like any skill or endeavor, it needs to be developed to realize its full potential. So, I agree with your sentiment Simon. The thing that seems to be missing so often from discussions about model railroading is that we label a modeller a “craftsman” and their work as “art” as if that happens by some divine intervention and everything that cascades from their workbench is always perfect. We ignore that the particular project itself is a record of skill or experience at that time. We fail to remember that everyone is a personal evolutionary work of art and every one of us is the project of our individual lives to date. In reading SW1500 I found that was one of the refreshing new stories the book tells. As Tony moved around the model locomotive through the component projects you read the story of how sometimes he approached a component by trying to apply something from his past but wasn’t pleased with the result – not so much because that practice was flawed but it just wasn’t the right one, this time. That’s why it didn’t yield the effect he was (perhaps emotionally) aiming for. It’s not a matter of that effect or technique failing, being outdated, or no longer being the “best” approach but a matter of it working or not working this time, in this application, at this moment in Tony’s life. That’s what the craftsman has: not a mastery of all work but a cultivated collection of their experience. As if those skills were part of an ever-expanding intellectual or skill-based toolbox. The more we invest in the repetition of work the more we add experiences to that toolbox. Instead of hitting every model with a pragmatic repetition, the same number of process steps over and over again like we’re living in a big model train assembly line, we consider what might work better for this unique, individual, particular situation. That’s what really distinguishes SW1500. 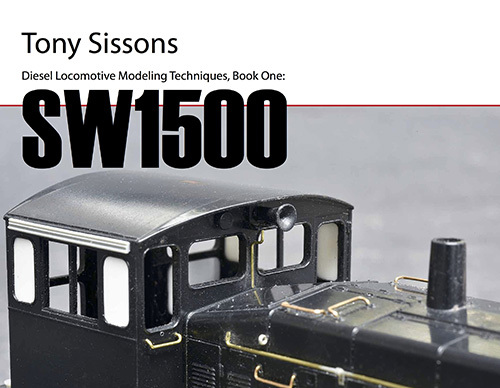 As I mentioned: I might never need or want to build a HO scale SW1500 like Tony’s but I don’t need to. The book stood on the strength of its voice and remained worthwhile with a life beyond the project on the cover. This post nicely dovetails into your previous one. There’s a shift in perspective. 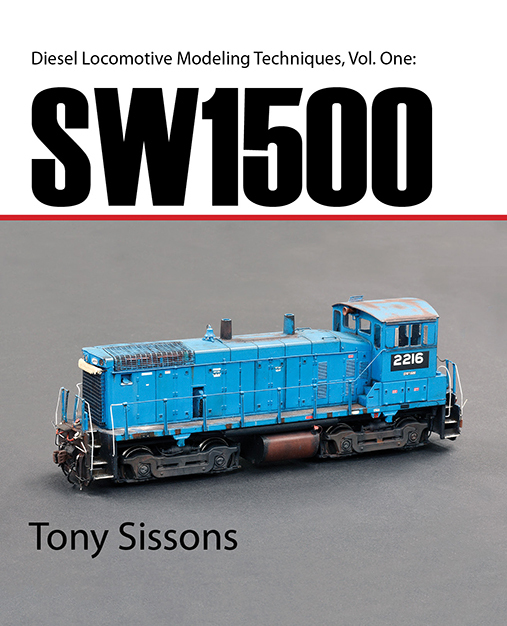 SW1500 considers model locomotives from a difference perspective and shows how much potential is waiting to be discovered in terms of new content for publication. Thanks for the link back to my blog, it was nice to re-read that post again. Even that reminded me of my absence from the blog, it’s importance to me, and my need to return to it. Thank you for that sideline. I find this topic hits close to home for me. I am a modeler with a layout. I enjoy scratch building, and based on comments and contest results, I must be pretty good at it. Many people comment they wish they had the skills to produce models like mine. I don’t feel I have any special artistic or God-given talent. I tell them the most valuable tool in my toolbox is Patience. It is too easy to plop a great R-T-R model on the layout call it done. Another import tool is the willingness to do it over. Most of my structures, rolling stock and locomotives have had major do-overs to make them right. Some required me to start over from the beginning. My friends and family think it is crazy. There is a well know model railroader that coined the term: Good enough. For me, good enough is not good enough. What is wrong with making it better? I know I am in the minority in our model railroad community, but that’s ok. I model for my own enjoyment. I can’t help but wonder if we’ve lost or are loosing something important in model railroading. That being the value of the two concepts you mentioned: patience and a willingness to do things over. It’s too easy to cast blame on ready-to-run or changing priorities in the hobby but I think that’s shortsighted and feels like an excuse. I think it’s more complex than that. In the past decades, a handful of articulate people have shaped the hobby in ways that may or may not be sustainable long term. The emphasis on large layout and more and more complex operations almost demands an attitude of compromise of every sort to make such things feasible. 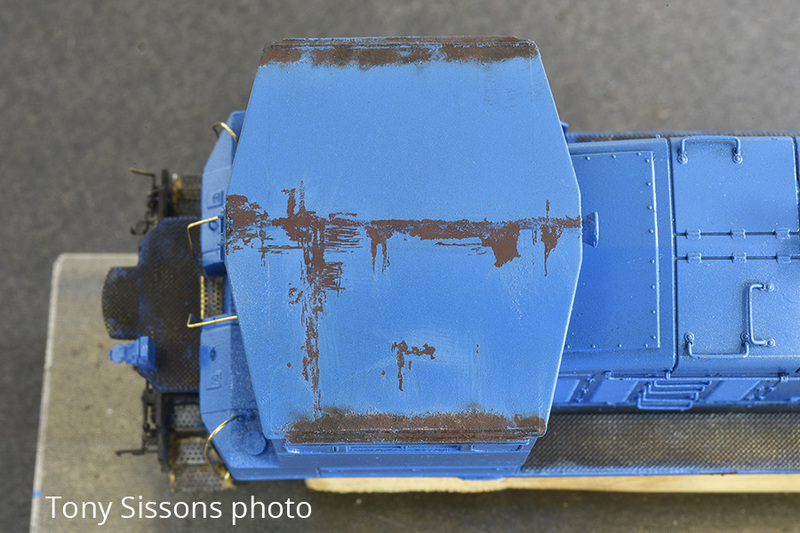 Modeling jobs and paperwork under the pretense of being a railroad employee may be appealing to the few and may be the dream sold to the many, but at what cost to the hobby as a whole? I’m simply not interested in any of that, nor do I have to be. As you mentioned, there is nothing to prevent someone from modeling as they wish. We each make choices as to what is meaningful and enjoyable and we get the hobby we want as a result. Let’s finally admit we’re actually discussing two different things and speak the truth about each accordingly. I think the problem is the phrase itself. It has two meanings! One is, “that’s good enough to take its place amongst the finest models” and the other is, “I suppose that will do: not worth any extra effort”! I think Allen Macclelland possibly meant both, for the ambiguity is about asking what level of detail is required to suit your purposes. If you are operations-focused, then moulded on details will be more robust, yet will still catch the light. You also need more stock, and the time-saving features of ready made freight cars with moulded or factory applied details are essential. It works for him, and Tony Koester and David Barrow, et al. But not for everyone. And certainly not for regular readers of Mike’s publications (including this blog). Too much of the mainstream press leans this way. Anyone wanting just a few well-crafted hand-built models is seen as odd. Well, to be cynical, I suppose it doesn’t sell advertising space, but that wasn’t a problem in the 1940s for Model Railroader, which featured regular interesting articles on how to build your own by the likes of Mel Thorburgh. I’ve written at my blog about E. L. Moore’s work based on research I’ve done over the last few years. Decades ago his projects inspired me to get into model railroading, and some years back I decided to do a deep dive into his work. Along the way I was lucky to meet many generous and interesting people who contributed in one way or another. At one point I worked with ELM’s step-son and scanned a large collection of ELM’s letters, manuscripts and photos – many of which he allowed me to post at my blog. I was also able to see some collections of ELM’s models that have survived after all these years – it was a small revelation to see them in colour. Now that the project is more-or-less over, and I’ve been thinking about the big picture, I think ELM’s work was in the American folk art tradition, specifically in the area of miniature buildings. Roughly speaking, the construction of miniature buildings, not doll houses, birdhouses or such, was, for lack of a better term, a minor folk art from, say, the mid to late 19th century to around the end of WWII. It’s a pretty much unrecognized art, but if you look online for the collection of Steven Burke and Randy Campbell, you’ll get an idea of what it’s about. I think ELM was an artist in that genre, although model railroading was his context. ELM did a few projects that skated close to being fine scale-esque, but overall, he focused on building models using fairly common and accessible materials that told stories about, and represented, rural and small town life in the late 19th and early 20th century – which, given he was born in 1898, was the time of his childhood. This desire to capture something about life and the world as he experienced it, using storytelling as a major driver, is a characteristic of that old folk art tradition. In the 1960’s ELM had an extensive correspondence with Hal Carstens, and Carstens would often make suggestion upon suggestion for projects ELM could do. A few ELM projects that appeared in RMC came directly from those exchanges. 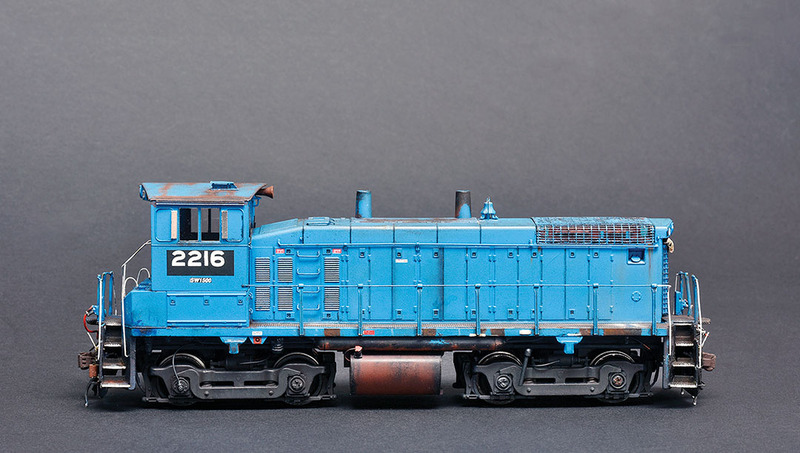 One of ELM’s earliest projects, the unpublished Crossroads Store that he submitted to Model Trains, was something of a riff on a kit that was available at the time. Although 9 of ELM’s RMC projects were produced as plastic kits, he seemed to focus on building things from photos he found in books, photos he had in his possession (that he often took while walking or from a car window when he was being driven somewhere), and photos others sent him that seemed to fit into his era of interest. Sometimes I think of Art Curren as ELM’s successor – another long story – although their approaches and circumstances were very different. Thanks for letting me blather-on and ramble. Your discussions on art and model railroading and related things are fascinating. I guess what I’m getting at is that I agree that what we’re all doing can be deeper than the commonly promoted mainstream view, and there are many interesting sub-disciplines as there are in the broader art and craft world. The ‘folk art genre’- that term doesn’t sit well with me – is one. Thanks for the great posts and I’m looking forward to seeing more in the coming year!